Учите итальянского языка онлайн бесплатно при помощи 100 аудиофайлов (mp3)! Пресса: Download 100 audio (mp3) files and learn easy sentences in Italian! Learn Italian quickly and easily with 100 downloadable mp3 files. book2 is free and contains 100 lessons in Italian that provide beginners with the basic vocabulary. Listen to book2 on your mp3 player anywhere! You are free: to Share — to copy, distribute and transmit the work Under the following conditions: Attribution: You must attribute the work to Goethe-Verlag and http://www.goethe-verlag.com Noncommercial: You may not use this work for commercial purposes. No Derivative Works: You may not alter, transform, or build upon this work. For any reuse or distribution, you must make clear to others the license terms of this work. The best way to do this is with a link to this web page. Any of the above conditions can be waived if you get permission from the copyright holder. Nothing in this license impairs or restricts the author's moral rights. 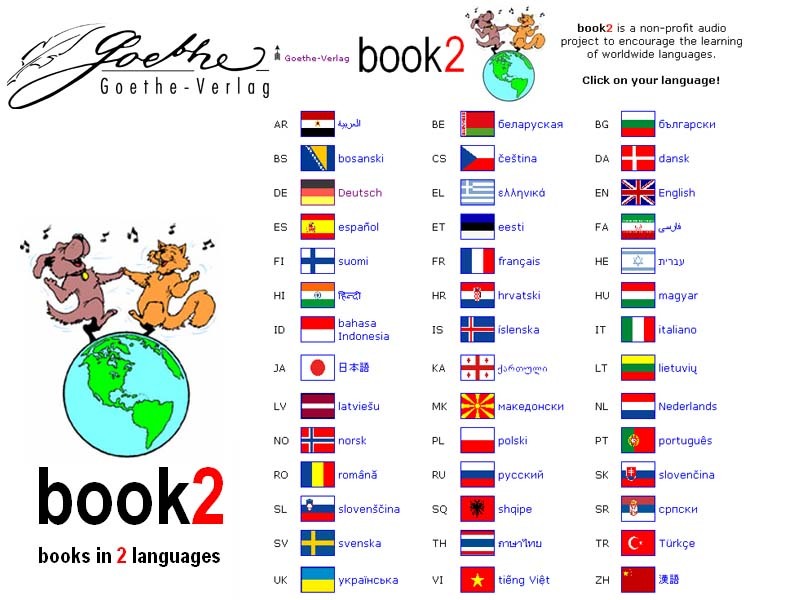 You are free: to Share — to copy, distribute and transmit the work Under the following conditions: Attribution: You must attribute the work to Goethe-Verlag and http://www.goethe-verlag.com Noncommercial: You may not use this work for commercial purposes. No Derivative Works: You may not alter, transform, or build upon this work.